Crispy, wholesome and delicious – not exactly the kind of words that come to mind when you think of a regular sausage roll, are they? No, but this is not a regular sausage roll recipe.No, this is a gourmet, home-made sausage roll recipe. Yum! Generally speaking, it’s enough for me to think about a particular ‘junk food’ a couple of times for the craving to go away. I actually imagine myself eating it, thinking about what is and what may be in it, and realising it’s not really what I want to eat. Unfortunately, this approach has failed in conquering my most recent junk food obsession: the sausage roll. It’s not because I like sausages, I actually don’t particularly. Unless, of course, they are gourmet or smoked or called names like kielbasa and chorizo… Besides, regular sausage rolls bear little resemblance visually and taste nothing like actual sausages. It’s mainly because I have been craving the buttery flakiness of puff pastry and on two occassions I had leftovers that would make the perfect savoury filling. 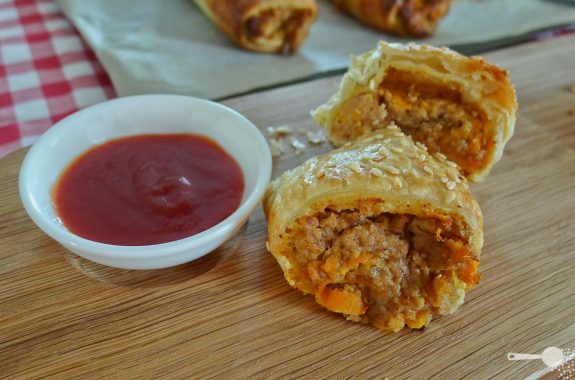 Whether it’s leftover Sunday roast, barbecue sausages or mince, this sausage roll recipe is simple and a much healthier alternative to the greasy versions found in food warmers around town, or even in the supermarket freezers. And, …wait for it, these ones actually come in a flavour other than bland. Because they are home-made, for the most part you know what goes in them and you can control the flavour and texture better. Add some curry powder or sweet chilli sauce to make even more flavoursome variations. Makes about 16 mini rolls. Leftover shredded roast meat or cooked mince are great for this recipe too. Brown onion in a little butter. 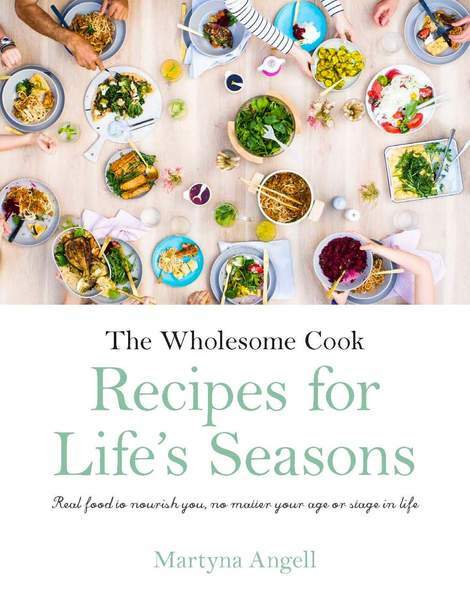 Place all filling ingredients into a food processor and process until well combined and there are no chunky bits. I use my Braun hand-held blender's chopper jug attachment for this. Add half the egg, breadcrumbs and mix in well. Set aside. Preheat oven to 220C (200C fan forced, 425F, Gas mark 7). Thaw puff pastry sheets for about 4 minutes. Cut pastry in half and place on the bench top with the longer edge closest to you. Spoon filling along the middle of the rectangle, pressing down firmly with your hands. Roll up the pastry to enclose the filling and form a log. Make sure that there is about a 1cm overlap at the pastry closure. Place seam side down on a cookie sheet lined with baking paper. Brush with egg wash and sprinkle with sesame seeds. Cut each log into 4 with a bread knife - trying not to squash them down. Bake for about 15 minutes, or until the pastry is puffed and golden. Serve with tomato sauce or green tomato relish. I love homemade sausage rolls! They are completely different species of food to bought sausage rolls. These look delicious! Love the filling ingredients (esp the mustard!). Thanks Heidi! They are great, and packed full of veges and protein from the beans. I have a feeling you could use tofu instead of meat for a completely vegetarian version… but I haven’t tested it yet. Am definitely going to make these and will try with reduced fat puff pastry. A much better alternative to their greasy counterparts! Made them on the weekend and they were a hit and the reduced fat pastry didn’t taste any different. Yum, yum, yum. My two year old loved them too! 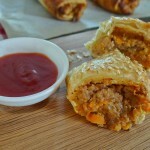 I’ve been hunting for a really good nutritious sausage roll recipe for ages and ages. I usually make them for parties and can’t wait to try these out for my not so little baby’s first birthday in a few weeks. I love the idea of adding the beans in particular, I would never have thought of that!